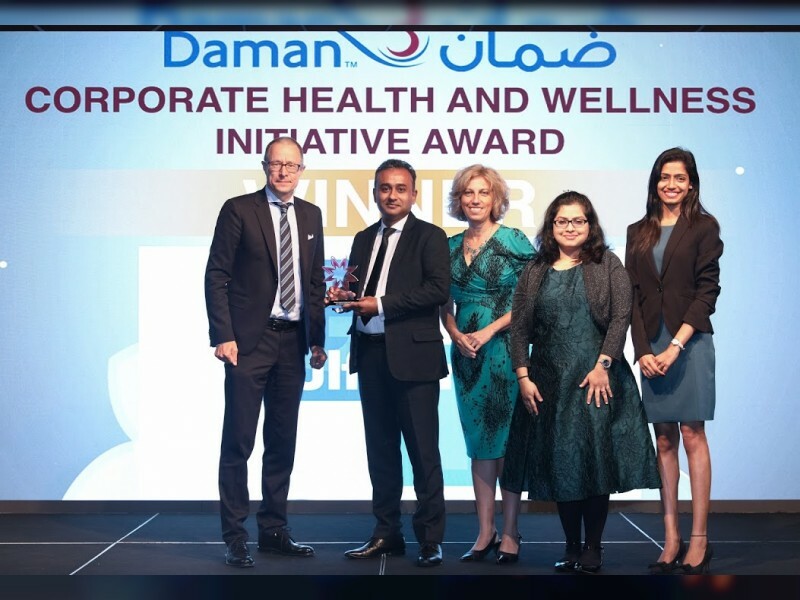 SHARJAH, 29th October, 2017 (WAM) -- Gulftainer, the world’s largest privately owned independent port operator, has won the ‘Corporate Health and Wellness Initiative’ category at the Daman Corporate Health Awards 2017. The company earned recognition for its corporate well-being programme, 'Positive Pulse', that seeks to enhance employee engagement by promoting a healthy lifestyle. Positive Pulse encompasses a range of activities focused on health and fitness, nutrition, mindfulness and team-building. Since its implementation in February 2017, the programme has had a widespread positive impact on employee well-being. According to a survey of the participants, 30 percent of employees have consulted a dietician since the launch of Positive Pulse, while 20 percent of those who did not participate in any regular physical activity have started exercising. In addition, 10 percent of smokers have now given up the habit. Receiving the award on behalf of the company, Sarmad Tiwana, Group HR Head at Gulftainer, said, "Employee happiness and engagement is a priority for us at Gulftainer. A healthier workforce is not only happier and more motivated but also more productive. Through Positive Pulse, we have instituted wellness as a core component of our corporate culture. We are proud to have gained recognition for our efforts in this regard." Speaking on the achievement, Flemming Dalgaard, CEO of Gulftainer, said, "This award is unlike any other accolade Gulftainer has ever received. Positive Pulse has clearly demonstrated that investing in the well-being of our employees has benefits not just for the company, but also for the people on a personal level. The overwhelming success of the programme has motivated us to implement a company-wide Happiness and Well-being Policy that lays the institutional foundation for building a happier and healthier work environment."